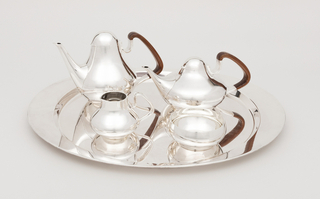 Georg Jensen's father was artisan and cutler. First attracted to ceramics, Jensen trained as a sculptor at the Ecole des Beaux-Arts and was awarded a traveling scholarship that supported his travels to France and Italy. 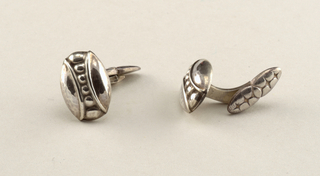 He founded his silversmithing firm in 1904, and discovered his first success with jewelry, quickly becoming one of the leading European silversmiths. 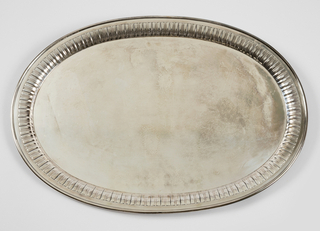 His style was characterized by organic themes, controlled oxidation, hammered surfaces, and the delicate and balanced use of solids and voids. 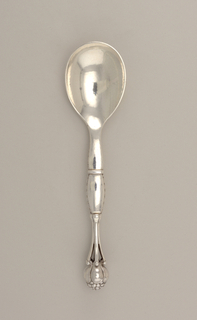 The “Jensen style” was highly influential through the 1920s, and the firm continues to produce high quality silver, plated, and stainless wares, as well as jewelry, to this day. 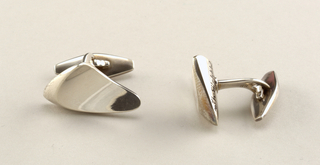 We have 150 objects that Georg Jensen Sølvsmedie has been involved with.